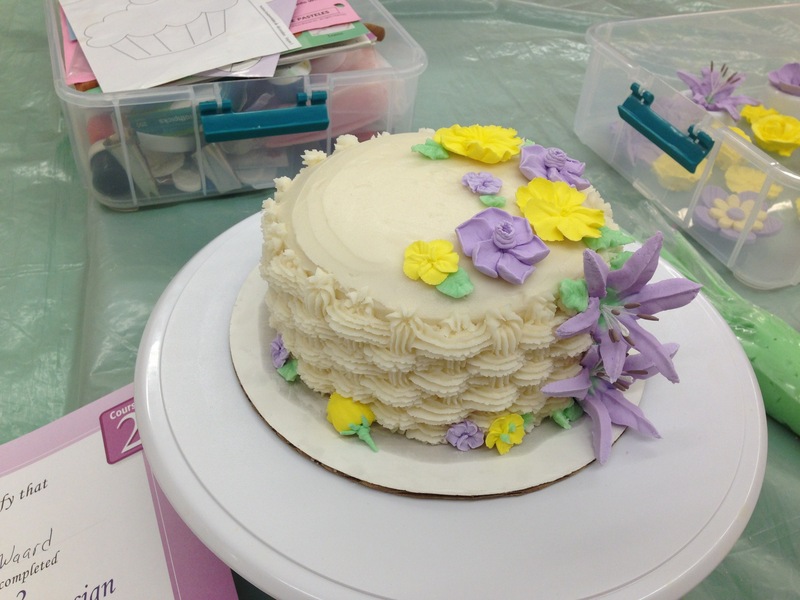 I am taking the Wilton classes at Michaels to help me get in the swing of things and get practicing. I don’t love the style but it is a great (cheap!) starting place for me. Here is my final cake from course two. I am starting course three on Monday! Basket weave action in full effect! I used my doctored hot milk cake and a very crisco heavy butter cream. Easy to pipe but not great flavor in my opinion. 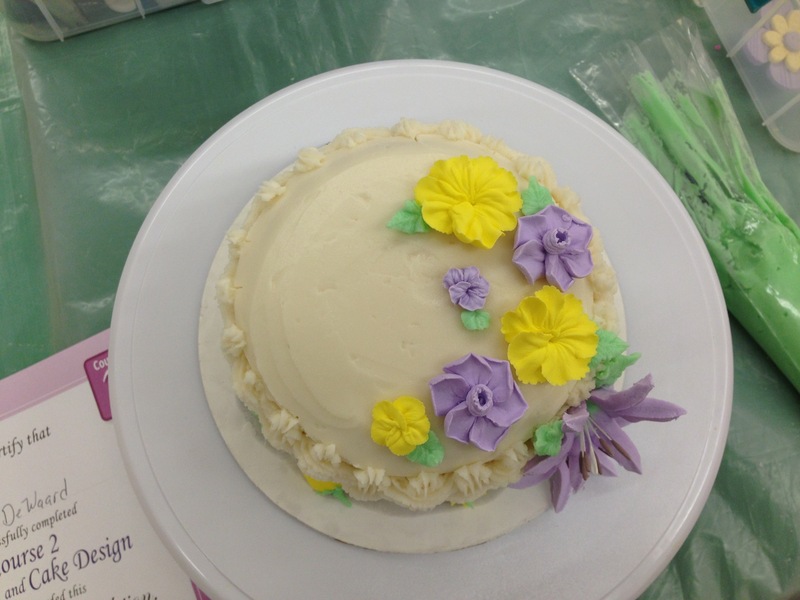 The flowers are all royal icing. Those, on the other hand, are tasty.